Mimosa hostilis - White Buffalo Trading Co.
Mimosa tenuiflora is a tropical perennial climbing vine or shrub native to the northeastern region of Brazil and found as far north as southern Mexico (Oaxaca and coast of Chiapas). It is most often found in lower altitudes, but it can be found as high as 3000 ft. In the Northern Hemisphere, it blossoms and produces fruit from November to June or July. In the Southern Hemisphere it blooms primarily from September to January. The fruit is brittle and averages 2.5–5 cm (0.98–1.97 in) long. Each pod contains 4–6 seeds that are oval, flat, light brown and 3–4 mm (0.12–0.16 in) in diameter. In the Southern Hemisphere, the fruit ripens from February to April. The tree's bark is dark brown to gray. It splits lengthwise and the inside is reddish brown. The tree's wood is dark reddish brown with a yellow center. It is very dense, durable and strong. There are about 145 seeds per gram. 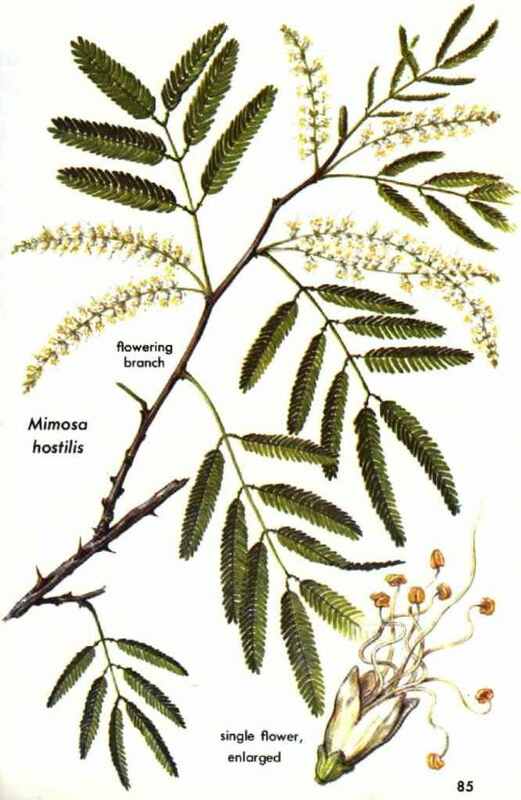 In nature, Mimosa tenuiflora fruits and seeds are disseminated by the wind in a radius of 5–8 m (16–26 ft.) from the mother plant; rain carries them from slopes to lower plains and human activities contribute to their dissemination. For cultivation, the seed pods are collected once they start to spontaneously open on the tree. The collected pods are laid out in the sun so that the pods open up and release their seeds. The seeds can then be planted in sandy soil with sun exposure. Scarification of the seed via mechanical means or by using sulfuric acid greatly increases the germination rate of the seeds over non-treatment. For best results, use heat scarification. The treated seeds can be sown directly into soil. The seeds can germinate in temperatures ranging from 10 to 30° C, but the highest germination rate occurs at around 75-80° F (about 95%), even after four years of storage. 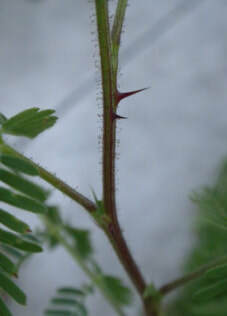 It is also possible to propagate Mimosa tenuiflora via cuttings. Plant seeds in Spring, protect plants from even light frost or cold temps. Can be grown indoors and moved out in the summer, but the vines have thorns. Fast growing predatory vine that takes over after a forest fire and climbs up the dead trees. Happy plants can grow an inch per day! Water daily. Soggy soil will rot the seeds. Needs well drained soil. Use a humidity dome, if in a dry climate. This is a tropical plant. NO frost. Slight frost will kill the roots. Keep environment humid and warm (75-80° F degrees is ideal). Seeds will NOT germinate well in cold weather. Place in a bright area, with filtered light. Germinates in 1-2 weeks, with stragglers popping up perhaps a month or two later. Once established, this thorny, fast-growing vine can literally grow one inch per day. Unsprouted seeds can be dug up, dried, heat scarified again, and then replanted. Part sun to full filtered sunlight. In Mexico, its powdered bark is used to treat burns and wounds. Additionally, it acts as an analgesic, with hours of lasting relief and expedited tissue recovery. The bark is also recommended to counteract exhaustion and debility, and has been shown to stimulate the immune system. 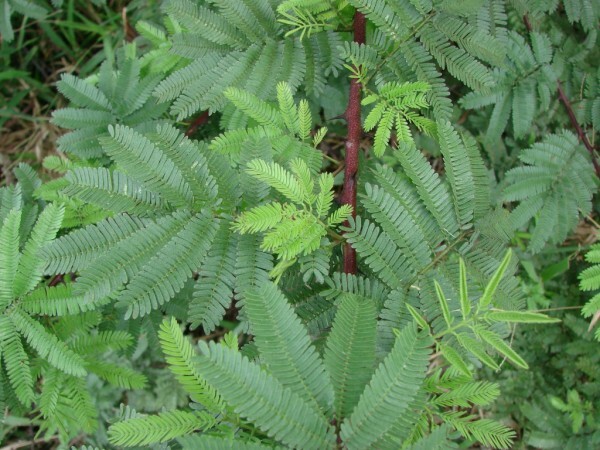 Other qualities of Mimosa tenuiflora are antimicrobial, analgesic, antifungal, cicatrizing (to heal by scar formation), regenerative, anti-inflammatory, and anti-aging. 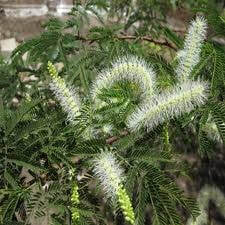 For many centuries, the Mayas used the Mimosa hostilis root bark to treat skin burns and wounds. ​It was also used as a natural coloring agent for textiles. © Copyright Datura Don, White Buffalo Trading, 2012-2119.